Key West is no stranger to weddings or honeymoons. At 24 North, we’re gearing up to host our fair share of weddings at the soon-to-be opened event lawn, The Sunset Green. While we hope the lawfully wedded both enjoy their special day, we think a wedding planner helps ease the process. Check out our 10 reasons why you can’t get married without a wedding planner below. A recent study actually shows that buying time instead of things can make you happier. By paying for a wedding planner, you are actually affording yourself free time instead of stressing over the details and paperwork of vendors. Wedding planners have experience — think of them as being locals in the world of weddings. They know how to negotiate deals, where to get more bang for your buck — so leave it up to them. If you have a strict budget, a wedding planner is versed in shortcuts and money-saving tricks. Plus, chances are they have contract and package perks that save in the long run. We’re not trying to be harsh on you, but unless you’ve planned your share of weddings, be prepared to be unprepared. A wedding planner knows which vendors are reliable because they are repeat customers. The bridal party outfits are gowns instead of cocktail dresses, you can’t use an outside vendor, you have to hire the photographer and videographer separately … again, this won’t be your wedding planner’s first rodeo, though it may be yours. Chances are they’ve faced many of the dilemmas you’ll face but will be better equipped to deal with them. Okay, so your dad wants those personalized koozies, your mother-in-law has her heart set on a photo booth and your sister won’t leave the personalized cocktail menu alone. Your family size is doubling; don’t underestimate the force of their will. If you have a wedding planner, you also have an ally — someone who listens to your wishes before interrupting with their own ideas. While some venues offer in-house coordinators, keep in mind that you get what you pay for. Most of the time, in-house coordinators are there to ensure that the venue met the contract needs, but nothing beyond that. 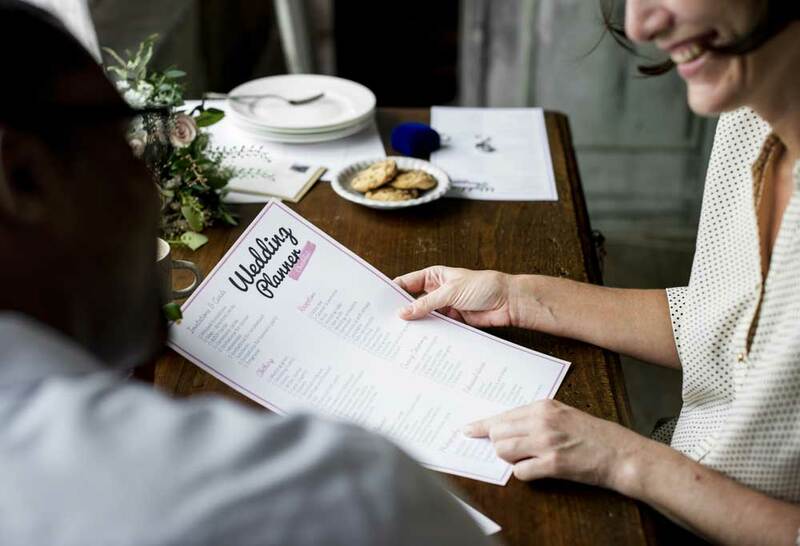 The restaurant hosting the rehearsal dinner lost your reservation, the bridal party shoes don’t match the dresses, the bakery never got the cake order, the DJ won’t pick up her phone. Something always goes awry on the big day. If you have someone in your corner, this won’t feel as chaotic for you. Even if you have a day-of coordinator, a lot of the worries and stresses will fall on you before you walk down the aisle… and after. While it may seem like a good idea to have family help with the wedding, they should have the day off to enjoy the ceremony. Plus it’s way easier to turn into a bridezilla with family than with an equitable person hired for the job. This often gets lost in all the pageantry of a wedding. On your wedding day, you’re there to celebrate the union of marriage with family and friends. A wedding planner is an objective hand in the process that will ensure you get what you want with less stress. Interested in a proposal for booking the Sunset Green? Send your request here.